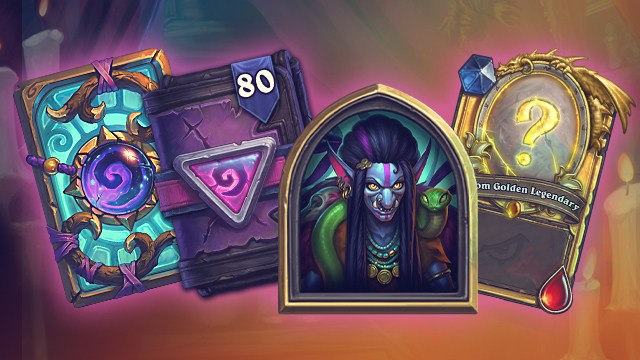 The next three Hearthstone expansions will all launch under the banner of Year of the Dragon, and the first of these releases on April 9, 2019. Titled Rise of Shadows, it will see the game’s nine heroes separated into two factions at war with one another. The League of EVIL is cooking up a dastardly scheme against the denizens of Dalaran. On the other side of the fight are the Defenders of Dalaran, who are determined to protect the famous Warcraft city. In our Rise of Shadows Guide we’ve gathered together all of the information that’s been confirmed by Blizzard so far. Our friends at Metabomb are busy creating deck guides for the new expansion. Here’s a mixture of new and updated archetypes that are likely to see play in the early days. We’ll keep adding to this list over time. Hearthstone Rise of Shadows Overview - What is the Rise of Shadows Release Date? The expansion will add another 135 cards to the game. Scheme Cards: These cards are exclusive to heroes designated as League of EVIL members, and become more powerful each turn you keep holding them in your hand. The Shaman’s card, for example, does one point of damage to all minions, but this increases by one each turn it remains unused. Callback Cards: Every Hearthstone expansion introduces a new keyword or two, but they tend to fall out of fashion when the next new thing rolls around. In Rise of Shadows, each League hero representative will have access to a special Callback Card though. These cards riff on a keyword introduced in the expansion the character debuted in. Lackeys: These special minions can’t be collected as such, rather they’re generated as so-called “token minions” by other cards. Each one has low stats, but packs a big battlecry punch instead. The Faceless Lackey, for example, has 1 / 1 stats but summons a random two-mana minion alongside it when played. Twinspell Cards: What about the good guys on the Defender of Dalaran side? They’ll gain new Twinspell cards, which replace themselves in your hand when they’re cast. If you have enough resources you can play the second copy immediately, or alternatively cast it on a future turn. As we mentioned at the start of this Rise of Shadows guide, each of the game’s nine heroes will be separated into two factional camps. They’ll each have their own leader, who’ll be represented by their own Legendary card. The four remaining heroes - Druid, Hunter, Mage and Paladin - will belong to the Defenders of Dalaran. Full details of their representatives have not yet been confirmed. In terms of gameplay, expect a roguelike adventure along the lines of Dungeon Run or Monster Hunt from previous expansions. It will launch sometime after the cards arrive on April 9. So far we know only that it will arrive at some point in May 2019. The team responsible for Hearthstone’s single-player content has been doubled in recent months, and so the experience should be bigger than ever before. The Rise of Shadows content will be released in five chapters, or wings. The first wing will be free for all players, but subsequent wings will cost either 700 Gold each, or you can buy all four at $19.99. The full story of the upcoming adventure will be told across all three of 2019’s expansions. Expect more details for Hearthstone's Rise of Shadows expansion to be revealed in the run up to launch. Tagged with Android Devices,	Free-to-Play,	Guides,	iPads,	iPhones,	PC,	Puzzle,	Rise of Shadows.